What's Up With Clucky? — Clucky. Clucky is a blog about celebrating food and life — from meal-planning and food prep at home, to exploring new restaurants and cuisines, to living life to the absolute fullest. Inspired by a word I "invented" when I was seven (or more accurately invented a variation of a meaning of a word), clucky has forever stuck as my go-to word for anything neat, unique, creative, and inspiring (see full definition to right). Sushi from The Grubbies in San Francisco. This packaging and presentation defines Clucky in a nutshell (er, bento box). So nothing felt more right than to name my blog Clucky, especially since in a word it encompasses everything that inspires me in life, which includes food — one of my greatest passions in life. 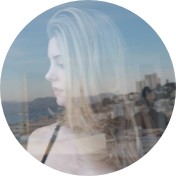 Since being healthy and balanced is as important to me as being an adventurous, ardent, curious explorer of the world, you'll find posts about meal prepping and cooking healthy and delicious food at home, as well as posts capturing my food explorations in San Francisco and beyond. As both a certified wellness coach and food obsessive, it's my everyday goal to lead a sustainably healthy lifestyle which for me means eating healthy most of the time, while also indulging in different cuisines and dishes when I'm traveling both near and far. Clucky is all about embracing a healthy lifestyle as well as the curious wonders of the world that keep us growing and evolving. I hope you enjoy Clucky as much as I'm enjoying sharing it with you! ADJECTIVE describes something unique, creative, cozy, inspiring, and festive — all in one. Clucky can be used to describe a thing, feeling, space, sound, or idea. ORIGIN In the '90s, when inspiration first struck for creating a word inspired by all the "clucky" things around me: Lisa Frank, diaries with locks, scratch & sniff stickers, the colors pink & yellow, et al. Having grown in scope, along with its originator, it now encompasses more adult things like dim sum, loose-leaf tea, and fragrance, and so much more.